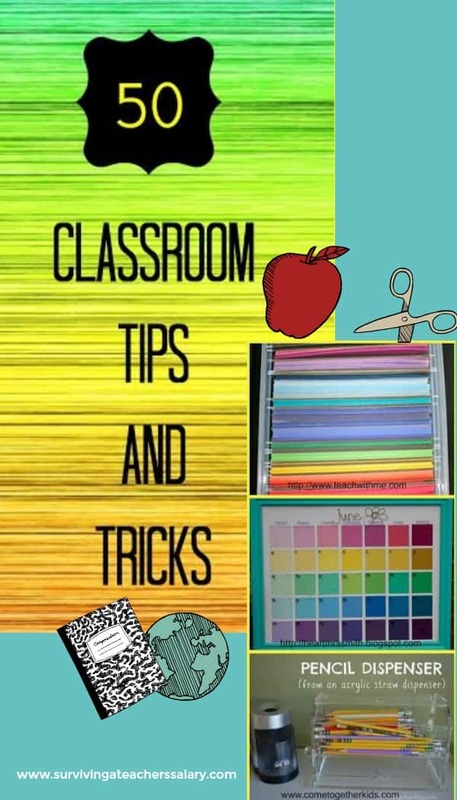 Classroom hacks, tips and tricks are HUGE for teachers to organize their classrooms and I’d love to hear about your special classroom hacks that have made your life OH SO MUCH EASIER! 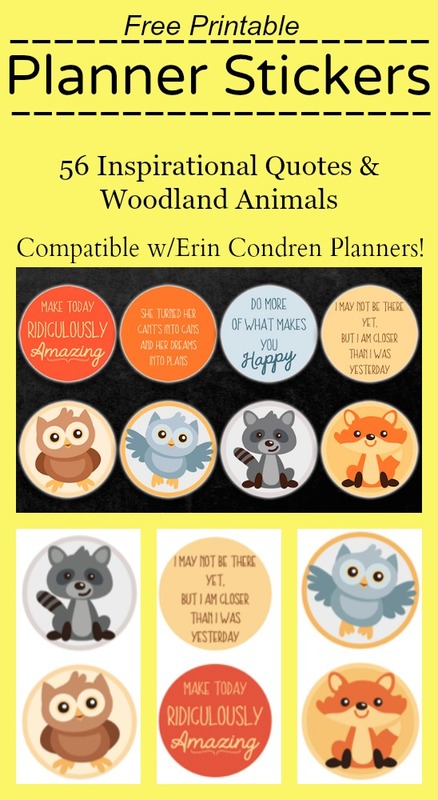 (besides of course your ultra organized Erin Condren planner!) Make sure to leave your ideas in the comments below so other teachers can benefit from your cleverness! And check out these 50 ideas below each linked to their original source so if you need more info check out their blogs! 1.) Glue pom poms to your dry erase markers to use as your eraser! No more having to use messy tissues. 2.) Use scrapbook paper to jazz up those clear plastic drawers. 3.) Use tablecloths to make bulletin board covers. 4.) Store all of your construction paper in hanging folders. 5.) If you write on something with marker that could possibly be rubbed off. Seal it with clear nail polish. 6.) Clogged glue caps? Soak them in vegetable oil. 7.) Use velcro on your floors to mark where your students can sit. Use different colors, then you can break them into groups in a pinch! 8.) If you need whiteboards for each of your students, this would be an affordable option. 9.) 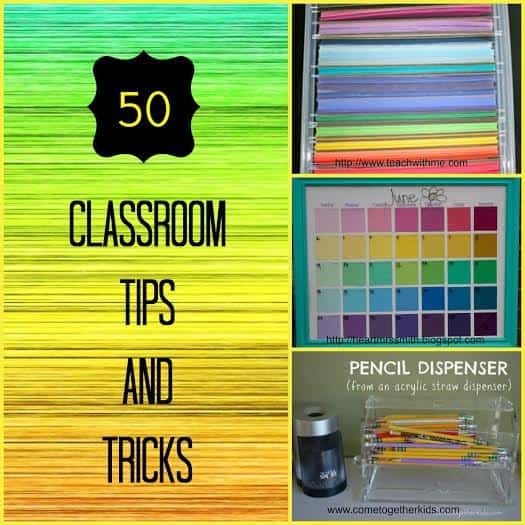 Use a straw dispenser to store your pencils. 10.) Make removing crayon wrappers from broken or pieces by soaking in water. 11.) Create an area dedicated for students who were absent. So when they return all missed assignments can be grabbed on their own. 12.) 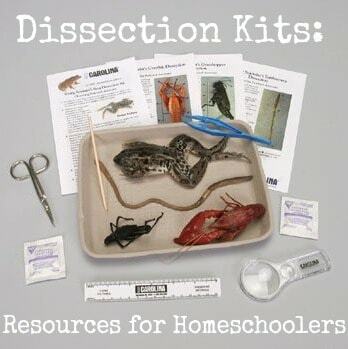 Grab a roasting pan and decorate to use as a place for students to drop finished homework into! 13.) Make your own glue dots for less. 15.) Use those free boxes from the post office as your paper bins. 16.) Use paint stirrers as book dividers and label with alphabet stickers. 17.) Create pockets for binders by using ziploc bags and duct tape. 18.) Save money and use laundry detergent caps and velcro to keep pencils in place on your desks. 19.) Store cards, game and puzzle pieces inside baby wipe containers. 20.) Glue tin cans to a lazy susan for your arts and crafts area. 21.) Cover frosting containers and use to store small objects or crayons! 22.) Instead of buying expensive beads for activities, grab a box of pasta. Then use 1 cup of pasta, 2 tablespoons rubbing alcohol and 2-3 drops of food coloring. 23.) Make fun no noise dice! 24.) Use a film canister or prescription bottle to make giant crayons out your broken pieces. 25.) 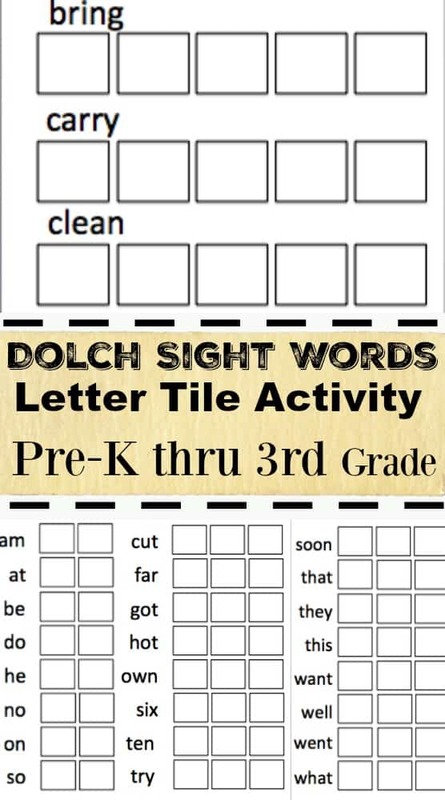 Use paint chips to create a classroom calendar. 26.) Cover cereal boxes with wrapping paper to make homework bins. Use command strips or magnets to hang them. 30.) Use washi tape to mark which cord goes to what in your classroom. Will save time later on when you may need to know. 31.) For a fun project let your students decorate their journals with washi tape. 32.) Teach your students responsibility skills. Take a photo of how your bins they use are before use. Then have them reference those photos to make them look the same way. Otherwise they can’t be dismissed until they do match! 33.) Hot glue tacks to the backs of clothespins for an easy way to display things on the bulletin board. 34.) Use a toolbox from a hardware store to keep supplies organized on your desk. 35.) A wine rack and plastic cups make for a great marker holder! 36.) A shoerack placed on top of your desk can give you more room. 37.) Using a CD holder you can store your die cut letters. Making for a smooth transition when changing out your bulletin boards. 38.) Hang clipboards up to easily hang students work. 39.) Create and hang clocks that show the time during the day when each activity will take place. So the students never have to ask and learn to tell the time. Best classroom hack ever! 40.) Create art and storage for your board games. 41.) Turn a ladder into an easel. 42.) Use placemats as seat markers on the floor. 43.) Use vinyl transfers to make semi-permanent decals for things you don’t want to repeat writing everyday. 44.) Wrapping paper can be used to make your boring metal desk, fabulous. 45.) Tie ribbons to a hula hoop and hand in your reading area. 46.) Party streamers and tissue paper are all you need to make a rainbow! 47.) Make a sign that’s for “No Name” assignments. Then hang each paper by using a clothes pin. 48.) Create a bulletin board for “Help Wanted” and showcase little tasks each student could take care of each day. Helps by teaching responsibility. 49.) Popsicle trays make a way to organize and hold crayons. 50.) Reuse a Pringles container by decorating it and then using it to store your rulers. I buy rolls of Contact paper or adhesive drawer liner in fun designs and cover anything that needs a decorative pick-me-up! I have covered the front and sides of my desk, the tops of tables, and even a metal file organizer. It makes my classroom less sterile and more homey =) The Contact paper is inexpensive, has great style options, and can be changed out easily. I teach Technology and Woodworking. In Tech, we learn orthographic drawing…I use small whiteboards that the students can practice on. I just got some shower laminate and cut it down to size. It works about the same as a whiteboard.